Start the New Year right by doing something fun and rewarding for yourself. Join us at I Paint Today for an introductory art course covering basic painting techniques with an emphasis on contemporary applications of the acrylic paint medium. The objective of this course is to provide adult art students with the skills necessary to create original paintings by using knowledge of pictorial composition and knowledge of materials, tools and techniques used in acrylic painting. If you are interested in taking your painting abilities to the next level, this is the class for you. You will be amazed at how quickly your skill level increases. 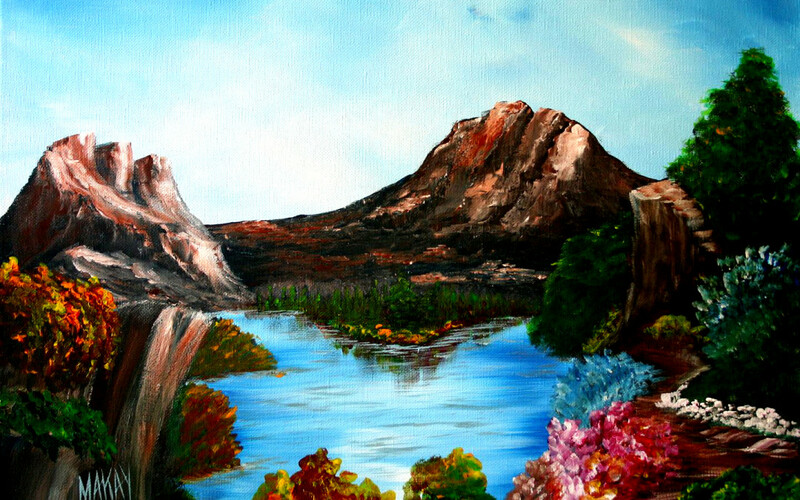 The 8 class course provides the basics through an engaging introduction to acrylic painting. Topics include the use of composition, the color palette, texture, form and value through landscape painting as well as understanding various paint brushes, their uses and proper care. By the end of the course, students will have a basic understanding of these concepts and some of the basic tools used to accomplish their painting goals. Tuition includes all supplies needed for all 8 classes.